CIRCLE K ANNOUNCES JUNE PLAY OR PARK WINNER! 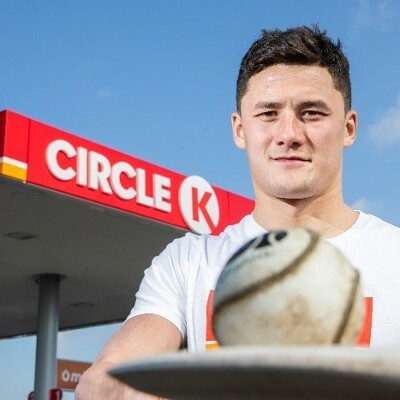 Circle K (formerly Topaz Energy), Ireland’s leading fuel and convenience retailer, is delighted to announce Patrick Power as the June 2018 winner of Circle K’s PLAY or PARK initiative. Patrick from Barrigone, Co. 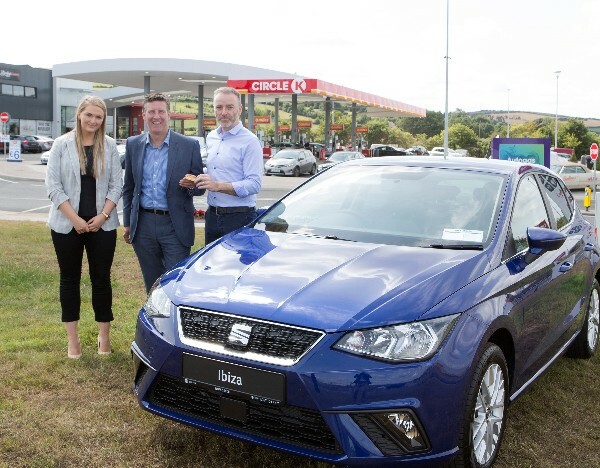 Limerick chose to play his points at Circle K in Barack Obama Plaza, Co. Offaly and has been announced as the lucky winner of an all-new SEAT Ibiza, worth €18,700. Returning to Circle K to collect his new car, Patrick was thrilled to be driving away in this fantastic prize. PLAY OR PARK is the award-winning loyalty game, which gives customers the opportunity to collect points every time they refuel or make a purchase at participating Circle K stores. Play or Park allows customers to play their points to be in with a chance to win that month’s prize or park their points to play at a later stage. Every time customers decide to play, they are guaranteed a free Circle K treat such as a bottle of water and popcorn or a bar of chocolate and a soft drink. Keep your eyes peeled for Circle K Ireland on Facebook where more fantastic Play or Park giveaways will be announced over the coming weeks, including the chance to win a trip to New Zealand in August, or the opportunity to win an American sporting holiday for two in September.